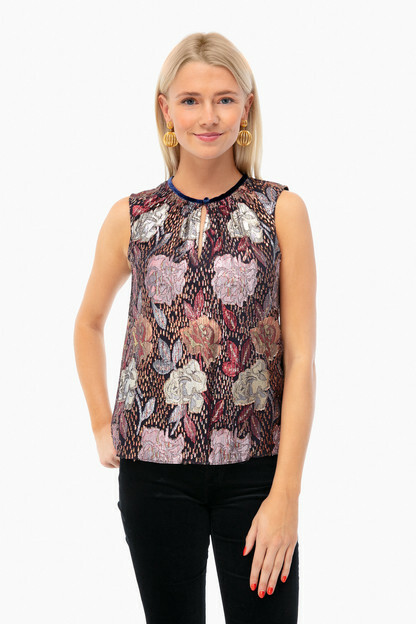 Made of a beautiful lightweight chiffon fabric, this top adds a polished sparkle to any outfit. 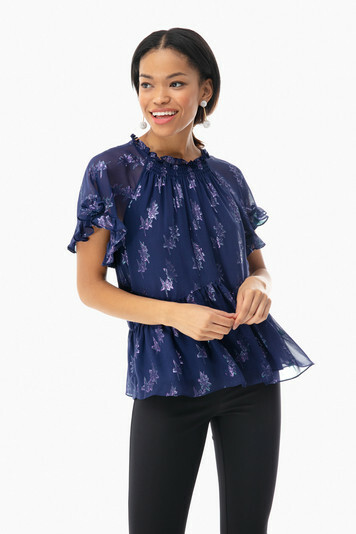 Rich violet hues and fun metallic star accents upgrade the structure of a simple blouse. 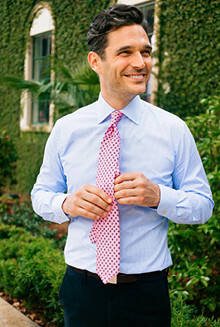 Try tying at the necklace for a classy look, or leave undone for a more relaxed vibe.